We’re looking today at a roundup of retail highlights from this holiday season and when experts are predicting for 2016 for the industry. comScore reported holiday sales on mobile devices reached $5 billion, up 58.5% over 2014. Retail Dive spoke with nine experts who provided 2016 retail forecasts. 2016 retail turnarounds could include Target, Walmart, JCPenney and Gap according to Retail Dive. Although Nordstrom has done many things right, Citi analyst Paul Lejuez still downgraded the retailers stock citing cost of expansion and e-commerce. With holiday sales down 4.7%, Macy’s plans to slash 4,800 jobs and close 40 US stores. While Old Navy sales were up 4%, Gap and Banana Republic will be working hard to turn around sales in 2016 after a challenging year. According to Michael Fink, Dean of the School of Fashion at the Savannah College of Art and Design, the fashion industry needs a shakeup. In the UK, BBC reported retail music sales rose from £1.03bn ($1.5 billion) in 2014 to £1.06bn ($1.54 billion), the first increase since 2004. 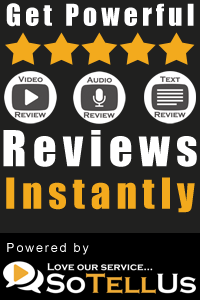 Bob Phipps, aka “The Retail Doctor”, tells a personal story of customer service woes in Las Vegas retail stores just prior to Christmas. While customers like looking at product in-store, customer service will be a big future challenge for retailers. Sales on mobile devices (smartphones and tablets) hit $12.65 billion, or a “staggering” 58.5% increase from $7.98 billion in mobile sales during the 2014 holiday season, according to preliminary estimates. While 2016 may still be in its infancy, the outlook seems clear: change is a-comin’. The apparel space may be especially vulnerable, but America’s two biggest retailers — Wal-Mart Stores and Target — are also trying to figuring out how to appeal to a new generation of consumers that are different, not just because they’re younger and more tech-savvy (which they are), but also because they came of age during one of the country’s most dire recessions. It hasn’t saturated the U.S. market with too many stores. It kept inventories lean heading into the fourth quarter, when an abundance of product weighed on many of its competitors. It’s also avoided much of the discounting that’s plagued the broader retail industry. Yet on Tuesday, Nordstrom saw Citi downgrade its shares from “buy” to “neutral,” saying its best-in-class positioning is no longer enough to withstand the challenges department stores are facing. “Even with the stock near 12-month lows, we have a hard time telling investors to buy at this time,” Citi analyst Paul Lejuez said in a research note. Nordstrom’s shares have fallen nearly 32 percent over the past year, toward $49. Citi cut its target price to $52, from $65. After a disappointing holiday season, Macy’s Inc. said Wednesday that it planned to cut about 4,800 jobs and close 40 stores as part of efforts to slash costs. Gap Inc. spent last year closing stores, laying off employees even at its headquarters, and shuffling its design teams. Old Navy chief Stefan Larsson threw the company a curve ball by leaving to head up Ralph Lauren, though the biggest change needed is at its Banana Republic and flagship Gap brands. News of a faltering Old Navy is especially tough, considering that the brand has been the bright spot for the company until recently. 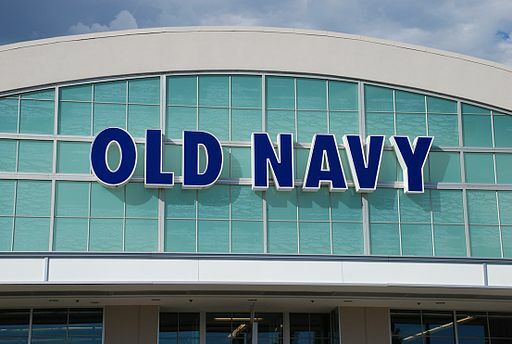 Old Navy’s same-store sales rose 4% in the third quarter ending in November, while same-store sales at Gap and Banana Republic fell 4% and 12%, respectively. The fashion industry needs a serious breath of fresh air, according to Michael Fink, dean of the School of Fashion at the Savannah College of Art and Design. A total of 26.8 billion songs were streamed last year, a rise of 82%, according to trade body BPI. Vinyl sales jumped 64% to 2.1 million, while retailer HMV says it sold a turntable every minute over Christmas. Challenges ahead and many interesting retail stories to cover in 2016. What are your biggest retail challenges in the next year? Your comments are welcome below.